Optimize your time using Watched by me module! 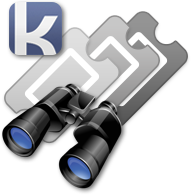 Now each staff can create the watch list to get an overview of all tickets he is “watching”. 1. Now Quick Filter has a new item called Watched by me (you can find it under My tickets). 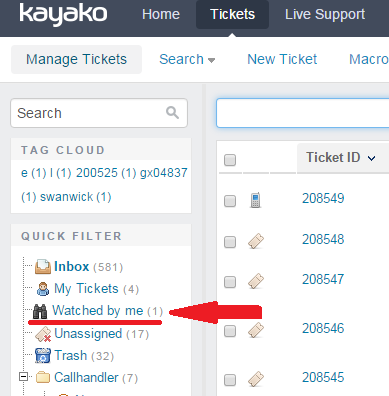 When you open this section, it displays tickets followed by Staff member (those tickets that have been marked as Watch- it is the standard Kayako functionality). Number of watched tickets is displayed in brackets (the same way as it appears in the My Tickets filter). list, the only difference is that it shows Watched tickets only for this Staff member.